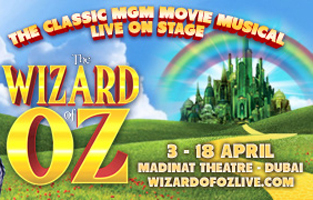 From the producers behind the UAE’s biggest sell out musicals such as ‘Joseph and the Amazing Technicolor Dreamcoat’, ‘Oliver!’ and the award winning ‘The Sound of Music’ comes a spectacular new production of the legendary musical THE WIZARD OF OZ – running for nineteen performances over two weeks in April 2014. One of the most famous stories of all time, THE WIZARD OF OZ became legend with the Oscar winning 1939 MGM movie version starring Judy Garland as Dorothy Gale, the young farm girl from Kansas who is transported via tornado to the magical Land of Oz. This brilliant musical stage adaptation, originally adapted by the Royal Shakespeare Company, celebrates the 75th anniversary of the movie and features all the wonderful songs from the movie, including ‘Over the Rainbow’, ‘We’re Off to See the Wizard’ and ‘Follow The Yellow Brick Road’. Join Dorothy Gale and her little dog Toto as they journey down the yellow brick road to see the Wizard, meeting Tin Man, Cowardly Lion and Scarecrow along the way. It’s the perfect show for all the family. From the UK and London’s West End the cast includes Elizabeth Carter as Dorothy Gale (Dreamcoats and Petticoats/Save the Last Dance for Me), Barnaby Thompson as Scarecrow (Chicago/Cats/Mamma Mia/We Will Rock You) Gavin Ashbarry as Cowardly Lion (Starlight Express/Joseph), James Parkes as Tin Man (Blood Brothers/Me and My Girl), stage and screen veteran Morgan Deare as the Wizard (Who Framed Roger Rabbit/Little Shop of Horrors), Lucy Hunter James as Glinda (The Sound of Music/Oliver!/Blood Brothers) and Lesley Saudi as The Wicked Witch (High School Musical/Oliver!). A wonderful ensemble of UAE performers completes the cast. THE WIZARD OF OZ is produced by John Payton and Lucy Magee for Popular Productions. It is directed by John Payton, with choreography by Nina French, musical direction by Philip Shute, set and lighting by Ben M Rogers, costumes by Anna Saunders and sound by David Gates. 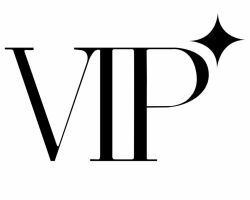 The production is sponsored in partnership with 7 Days, Radio 2 (Official Radio Partner), Expatwoman (Online Partner), Dubai Calendar, Inglot, Dubai Night Planner, Connector and in support of K9 Friends.